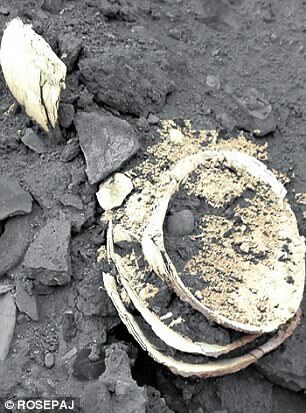 Archaeologists have discovered the remarkable remains of 5,000-year-old makeup at one of the world’s oldest cities. A decades-long dig at Tell es-Sultan, led by researchers from Italy and Palestine, has uncovered traces of manganese oxide inside ancient mother of pearl shells – and, they say this was once the basis of a substance used as eyeliner. The team has also found countless other artifacts that stand as testament to the growth of Jericho and its interactions with neighboring cities spanning centuries, including the remains of a child buried with jewelry and ancient perfume jugs. The dark substance later determined to be ancient eyeliner was found inside two mother of pearl shells, which made up part of a stack of five, according to National Geographic. This powder, thought to have originated in the Sinai Peninsula, would have been used in a type of makeup known as kohl. 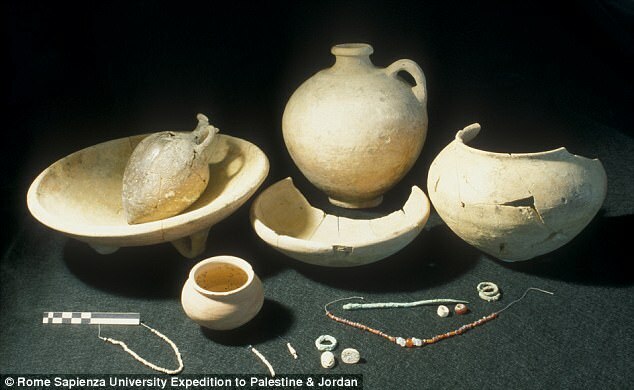 Archaeologists with the Italian-Palestinian Expedition began research at the site in 1997. Tell es-Sultan is part of what the team calls the Jericho Oasis, which has a history that dates back thousands of years. Of all the archaeological sites in the Palestinian Territories, Tell es-Sultan is the most heavily visited, according to the researchers. 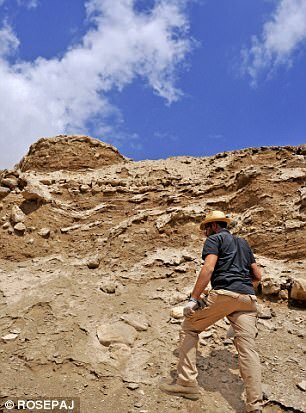 And, the discoveries made there have shed light on the growth of Jericho leading up to the infamous Biblical battle that ultimately saw its walls fall down. ‘The city witnessed some of the most significant advances by humankind in the Fertile Crescent, which were achieved due to the courage, innovation, and resilience of its community,’ lead archaeologist Lorenzo Nigro wrote in a recent article about the site. 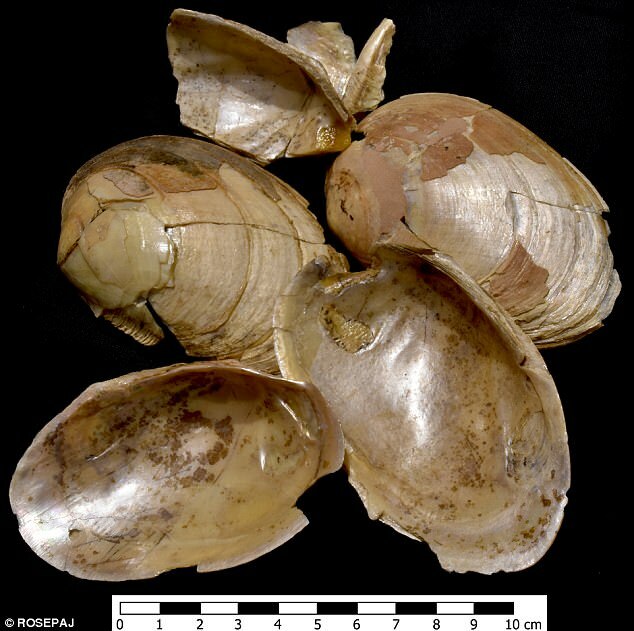 The powder found in the mother of pearl shells likely came from mines known to have been used by the ancient Egyptians, according to National Geographic. 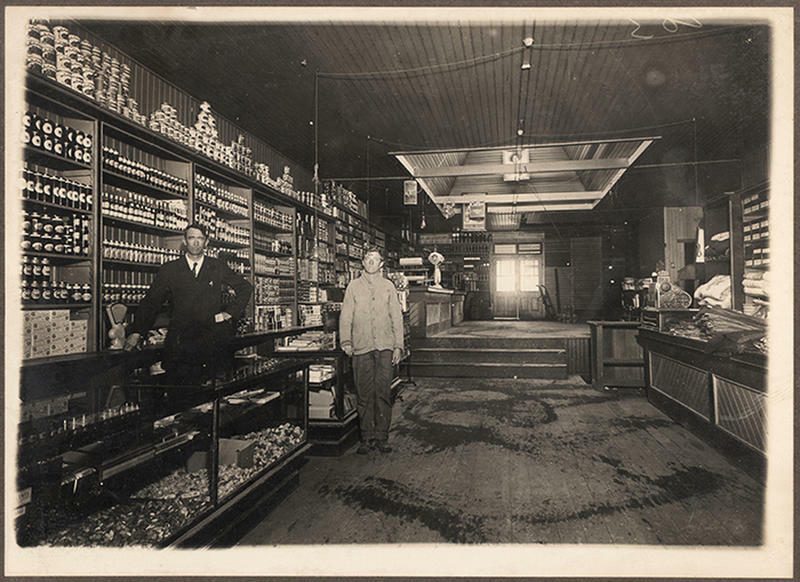 This indicates the city had important connections long before its destruction. The researchers also recently discovered a burial from 1,800 BC positioned beneath a palace floor. This was likely a signal of the deceased’s’ status. Inside the burial changer, the archaeologists discovered the remains of a nine- or 10-year-old girl, and an adult female, along with a sacrificed gazelle and goat, and six pottery vessels, according to NatGeo. 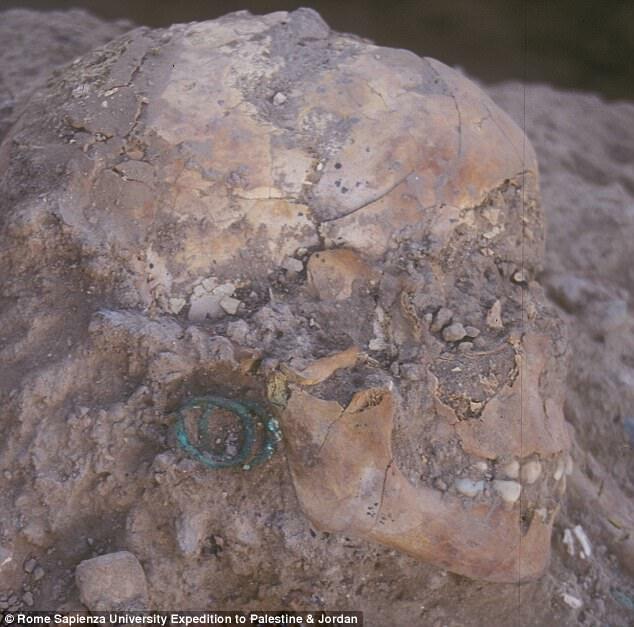 The child was adorned with jewelry, including two stone scarabs – one which contained hieroglyphics that may have included the name of the city’s ruler. 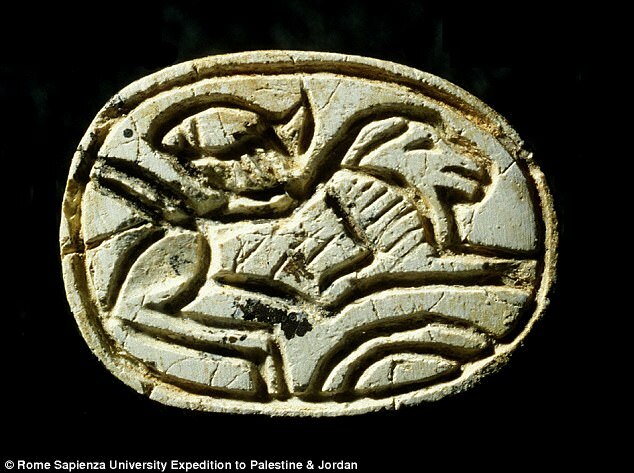 ‘The discovery confirms a close commercial relationship, already in the early third millennium BC, between the ancient city in Palestine and Egypt,’ Nigro told National Geographic. Inside the burial changer, the archaeologists discovered the remains of a nine- or 10-year-old girl, and an adult female, along with a sacrificed gazelle and goat, and six pottery vessels, according to National Geographic. Jericho was destroyed in 1500 BC, and it was centuries before it was rebuilt. Around the first century CE, it rose again as a holy site, with religious pilgrims passing through, and the establishment of a Christian community. ‘The memory of the site was preserved also during the Middle Age, when Jericho was mostly deserted as a result of the insecurity of its surroundings,’ the archaeologists note. 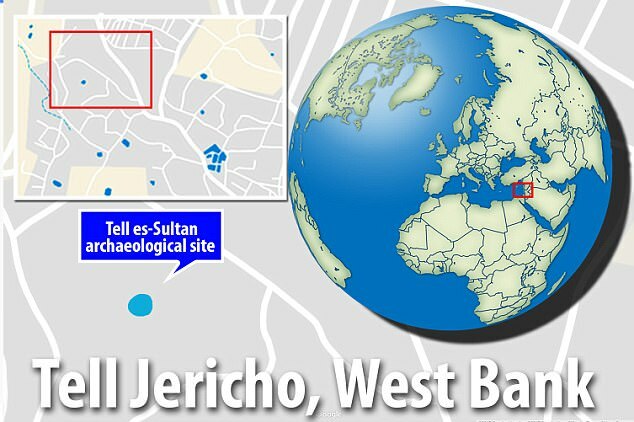 ‘With the Islamic establishment in the area, the Jerusalem to Jericho road became one of the main routes used to make a pilgrimage to Mecca, as echoed in Arab sources.